那是在某個週六的上午，我和老爸去當時還位在延平北路、酒泉街口的達美亞買安全帽。進了店家，我說明了來意，希望挑有 Snell m95/m2000 認證的安全帽。但說穿了，我其實不曉得該買那一頂，因為安全帽的花色琳琅滿目，我光是看都看不完了…就在我猶豫不決的時候，我看到櫃子的下層擺了一頂很醒目的安全帽，帽子的後面貼著一雙彩繪的眼睛，而那雙眼睛正炯炯有神地盯著我看，我在當下馬上就被吸引住了…問了售價，小老闆回答：「13,200 元」，我看著老爸，用堅定的眼神和他說：「我就是要這頂」..
the first round of the 2003 MotoGP World Championship. time. Kato, 26, leaves behind a widow and two children. 在 PTT 的 MotoGP 討論看板，有幾篇文章始終推文數維持在 74 ..
Farewell Kato Daijiro from roga on Vimeo. The Tamada story re-published yesterday sparked a memory I had of him that wasn’t noted in the story. 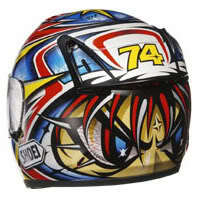 I’d talked to him at Assen shortly after that fourth place at Mugello which announced him as a special talent. He was clearly bored most of the time and a only a couple of things really got his attention, the subject of Kato was obviously one of them. He recently expanded on the subject in Japanese magazine Riding Sports, and I believe it explains very well his motivation to be world champion. “To me, Daijiro was both my target and best friend. He was the fastest guy on earth. When I first saw him at a racetrack, I was amazed by his riding style. His racing lines were so much different from other guys and he was so neat and fast. At that stage, I was starting to ride 250cc machines, so I tried to copy his lines and riding style. 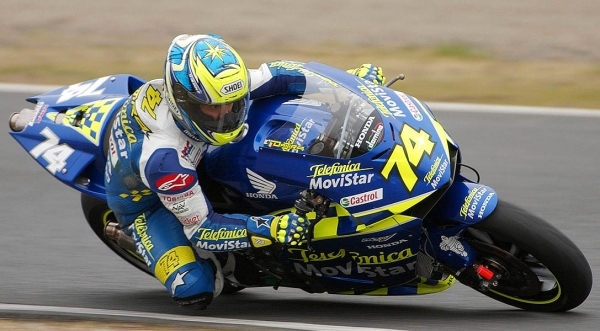 “When I heard of Daijiro’s death, I could not believe it was true. I went to say goodbye to him when his body returned from the hospital, just before I had to fly to Europe. Even then, I couldn’t believe it and there were no tears.